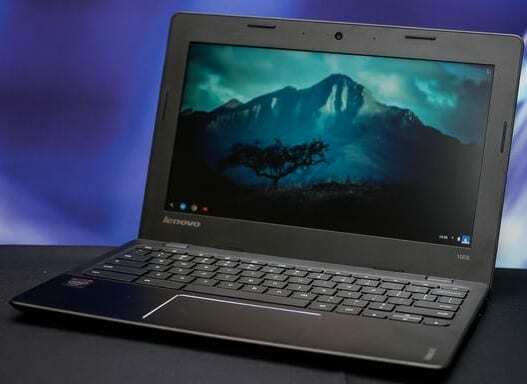 Lenovo IdeaPad 100S is a new series of notebooks targeted at buyers that are operating on shoe string budgets. These laptops, which were launched at IFA 2015, offer basically what you will expect in entry-level machines and are available in Windows OS and Chrome OS options. If portability is another criterion for you along with low cost, Lenovo IdeaPad 100S might just be what you want. You should not be bogged down carrying one of these around with weight of the notebooks put at 1.4 kg or lower. These machines are relative thin as well, with thickness put at around 18 millimetres. The body is plastic as one would expect of a laptop this cheap. The IdeaPad 100S comes with 11.6-inch or 14-inch screens which has an HD resolution of 1366 x 768 pixels. Lenovo IdeaPad 100S offers one of the cheapest ways to have access to a laptop running latest Windows 10 operating system. The 11.6-inch Windows notebook is powered by a quad-core Intel Atom Z3735F CPU, which delivers speeds of between 1.33 GHz and 1.83 GHz. The 14-inch version is driven by a dual-core Intel Celeron processor with speeds of between 1.6 GHz and 2.16 GHz. Lenovo IdeaPad 100S Chromebook, an 11.6-incher, comes with an Intel Pentium or Celeron processor and runs on the lightweight Chrome OS. The smaller laptops support up to 2 GB of RAM, while the 14-inch Windows notebook comes with up to 4 GB of RAM. Lenovo IdeaPad 100S Chromebook has 16 GB of inbuilt eMMC storage while the 11-inch Windows version comes with up to 32 GB of eMMC storage. You can get more storage space by going for the larger, more-expensive Windows variant – up to 64 GB of eMMC or 256 GB of SSD storage. The notebooks will be equipped with batteries that have been rated by Lenovo to deliver up to eight hours of use on a single charge. Bluetooth 4.0 and Wi-Fi 802.11n are available for wireless connectivity. Buyers get one year free access to Office 365. Lenovo IdeaPad 100S is not yet available in Nigeria. When available, you can buy it at leading online stores in Nigeria. Lenovo IdeaPad 100S price in Nigeria is expected to range from N37,500 to N100,000 depending on your location in the country.